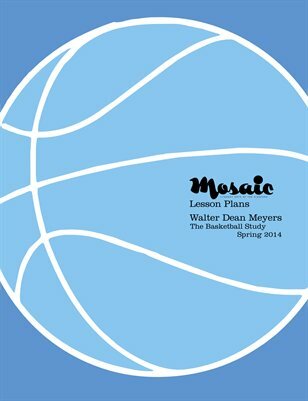 Walter Dean Meyers: The Basketball Study. Walter Dean Meyers is widely recognized as one of the most important young adult fiction writers of our time. Winner of several prestigious literary awards and Library of Congress National Ambassador for Young People’s Literature from 2012 - 2014, Meyers has touched countless readers with his striking YA novels. A significant body of his work centers around the sport of basketball. The following lesson plans will aid educators in guiding close student readings of two of Meyers’ basketball-themed books. Pre-reading study of the author, of basketball terminology, and of the Harlem community Meyers writes about will help guide students into the narratives. Topics for discussion, essay ideas, and additional activities will help students understand the important motifs in Meyers’ basketball novels. In addition, other book titles are provided for educators and young readers to pursue an even closer, independent study of Meyers’ basketball novels.